This is the third book following New York Times best-sellers Need and Captivate. Zara and Nick are soul mates - they are meant to be together for ever. But that's not quite how things have worked out. For starters, Nick is dead, and has been taken to Valhalla, a mystical resting place for warriors. If they can find the way there, Zara and her friends will try to get him back. But even if they do, Zara's turned pixie - and now she's Astley's queen! 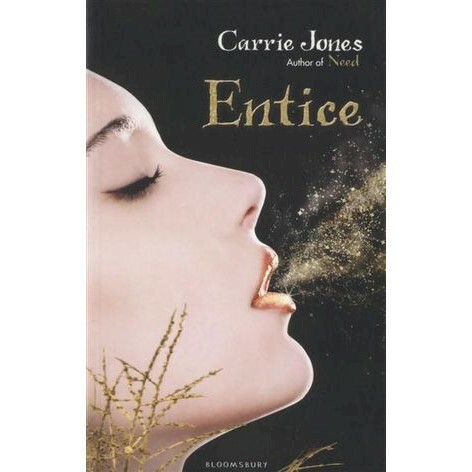 Carrie Jones is an award-winning author, who recently graduated from Vermont College's MFA programme. She is the author of the YA novels Girl, Hero; Love (and Other Uses for Duct Tape) and Tips on Having a Gay (Ex)-Boyfriend, which was nominated for a YALSA Quick Pick and won the Maine Literary Award as well as the Independent Book Publisher Award (the IPPY) in the US.